Everyone loves convenience and reliability, which is why Uber has made it even easier to get a ride or grab a bite. Shoppers are now able to purchase Uber gift cards for both Uber RIDES and UberEATS orders at Pick n Pay stores. Uber gift cards are available in R100 and R200 amounts and if the ride fee or UberEATS fee is less than the value on the card, the remaining amount can be used on the next ride or EATS purchase. Loading the gift card on your app is easy and uncomplicated. Below are a few quick steps to loading gift cards that are directly redeemable through the app. Whether it’s for a ride across the city or a delicious meal for lunch, Uber gift cards make things that much easier for those not waiting to use a card or cash. * Important restrictions apply to Uber gift cards. 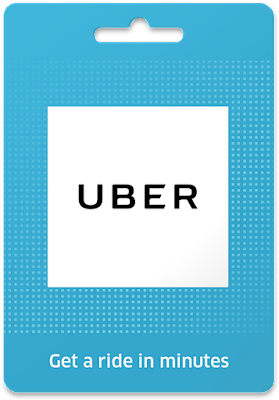 Please view the Uber Gift Card terms and conditions here for more information.